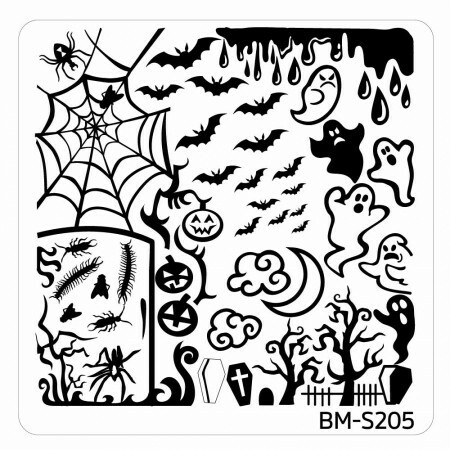 Lacquer Lockdown: Hot Off The Stamping Press: New Bundle Monster Occasions Collection Halloween + Thanksgiving! 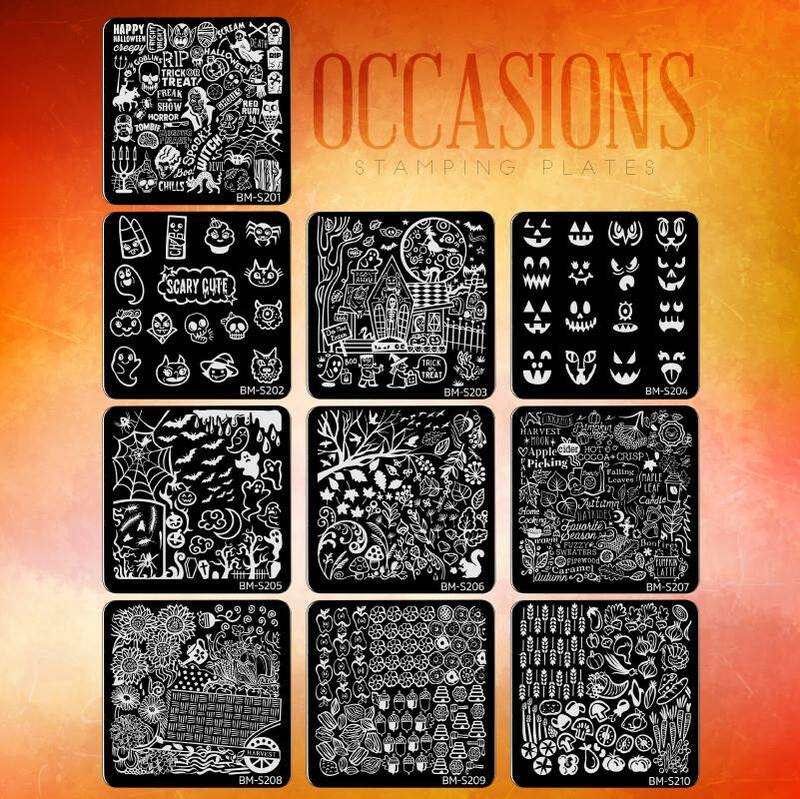 Hot Off The Stamping Press: New Bundle Monster Occasions Collection Halloween + Thanksgiving! 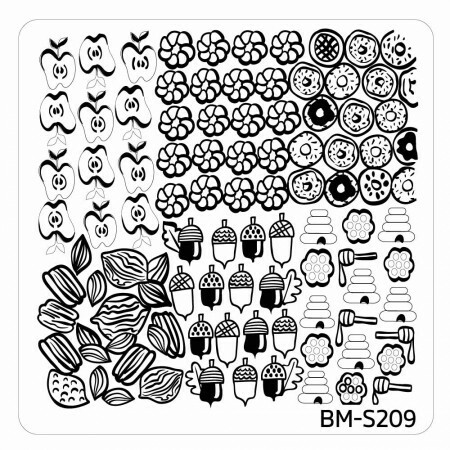 I have some new stamping plates to share with you all from Bundle Monster! These are bit late in the game Halloween wise for these to be coming out. I believe they launched at the end of last week, and honestly I had other things planned and didn't get the press up till now. I will say though even last week felt a bit late in the game for a semi Halloween themed release when we are half way through the month. But hey always more time to squeeze in last minute nail art right ;)? Lol ok let's go! I speculate The Occasions Collection seems like its going to be offering other plates in the future. I said this before Halloween plates are tough to pull off these days because a lot of it has been done and done to death. This is the most recent example of a take on the theme that I have actually found very well done and refreshing! These images are pretty new save the spider and his web and the brain. 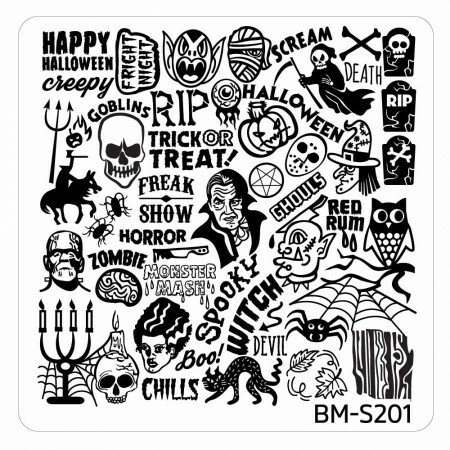 I'm particularly drawn to that little skull and candle image and the headless horseman (drools). Well done Bundle Monster! These images are new too. Lol if a little juvenile and cartoonish. In other words these images reek of cuteness. It's well done though right? And I gotta say this is perfect for those of you who have little aspiring stamperistas at home. Halloween done cutely and in a non scary fashion that's definitely age appropriate! 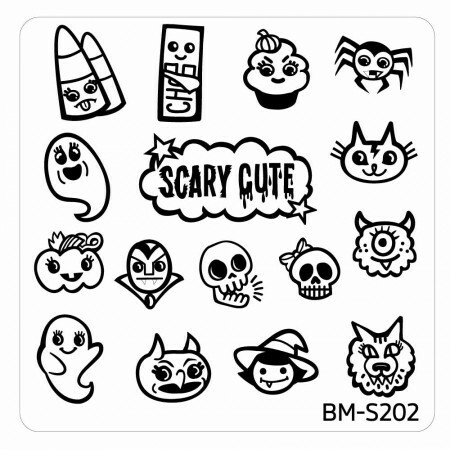 Scary cute is right. Plus look at that snaggle tooth witch she's absolutely adorable! Some new faces like the cat (x2), one eye, tongued one, and owl. I'm not really a fan of plates like this though so meh. 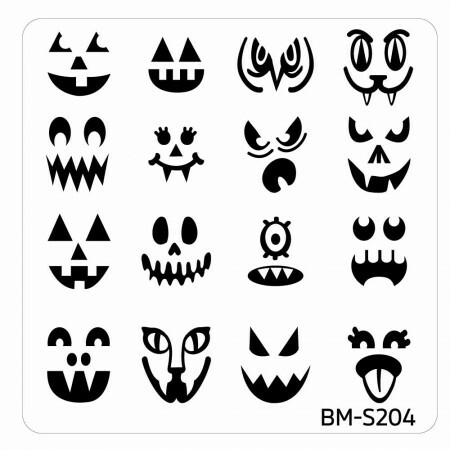 I believe MYL also did a whole "spooky pumpkin style" faces plate as well this season. I had the same reaction so I think its just these plates in general aren't my style. For myself I think this is plate is typical and a bit boring except the bugs which I find incredibly disgusting. 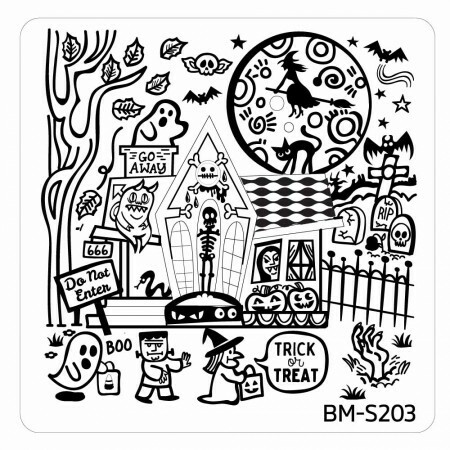 The rest is entirely too typical of many prior Halloween plates I've seen before and/or own already. Still that dripping blood is fantastic lol. Hey - a girl has her vices! 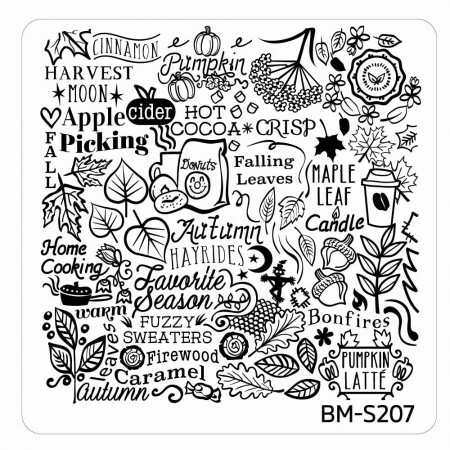 This plate would also have been perfect for that last Starbucks cup inspired nail art I did! Where the hell have you been huh? I like the birds added here they feel right in the space of this plate. The squirrel silhouette is creepy as heck though. Gah! 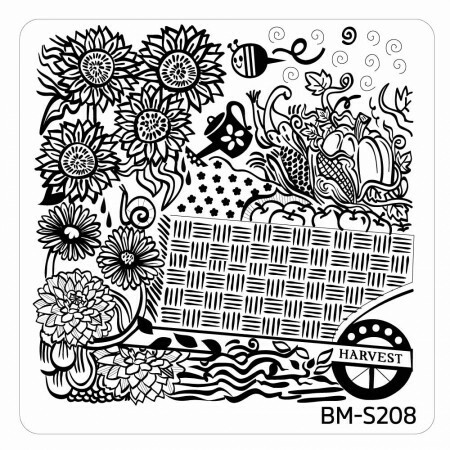 Overall this plate isn't terrible fresh or original, but its so well put together that I wouldn't mind having it. This is a sweet plate. I question just how large the lettering on this typography is i.e. will the pumpkin latte fit on one nail? I see a bootleg coffee cup making an appearance too! Lol. So yeah sweet and cute. For whatever reason too the acorns here are extremely realistically drawn. And this one I'm like hmmm interesting. Its been done, but I love some of the imagery here and it would have been a plate I thought "I need to play with this a bit", but then I looked down. I found this huge block at the bottom that is supposed to represent a blanket(?) a bit much. It's dead space in what if essentially isn't a novel plate is as least one that was visually pretty until the addition of that big block of slashes patterns. 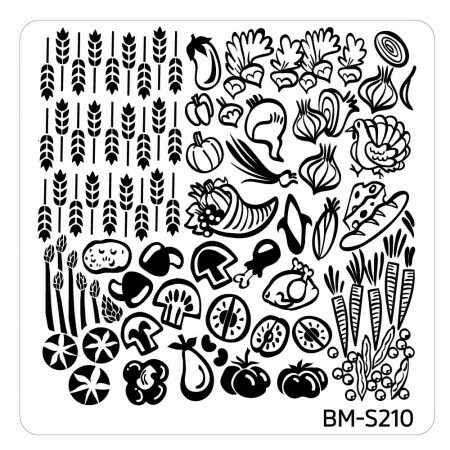 Btw those patterns have also been done a lot on FUN plates, MYL plates, and a few others. Just no on this one. The honeycombs, the nuts, the really crudely drawn acorns after seeing the really gorgeous ones, and the donuts. Even the apples look strange here. A whole plate of no - sorry. Cute yes novel no. 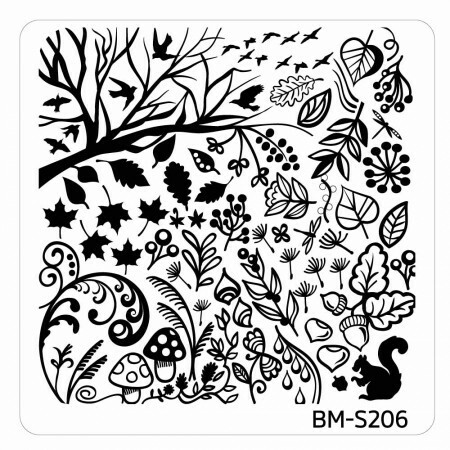 I've got plates with turkeys and cornucopias on them one of my favorites is from a prior Bundle Monster release and the other is from Bunny Nails. The veggies and stuff have also been done. Still its a cute plate if not original.